Granite is one of the premier communications solutions provider for businesses across the United States and Canada. With unparalleled North American coverage, Granite is the leading corporate communications service provider to multi-location companies through our scalable solutions, customized to manage all your local, regional, and national locations. Kindly, fill out the form below and our team will be in touch momentarily. While we gather your information, please be sure to check out GraniteChannels latest information through our social media platforms. 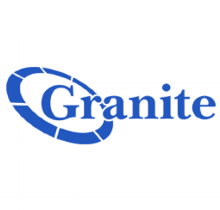 You can follow us @GraniteChannels on Twitter, Facebook, LinkedIn and YouTube. Thank you again, we look forward to speaking with you soon!